Thank you for visiting my storefront. Below, you will find my latest offerings. Please know that each of these products was created with you in mind, in an effort to entertain, educate and enlighten. Your feedback is welcomed and appreciated, so feel free to let me know what’s on your mind. I also invite you to post product reviews on my Amazon product pages. These reviews make it easier for readers to discover me. To book me as a workshop presenter or event speaker, click the purple box below. Be blessed, and continue being blessings. Young Achiever Playbook: Planning To Achieve ($5.99 paperback, $3.99 ebook) Click here to purchase now. Throughout the pages of Young Achiever Playbook: Planning To Achieve, J. A. bares his soul, recounting how an arthritic hip condition, and the end of his athletic career, fostered a newfound commitment to becoming better in all of these areas. He describes the process he used to develop an Adult LIFE Vision, and how this vision allowed him to pursue roles that are synonymous with laying firmer foundations for prosperous living. Adinkrahene: Fear of a Black Planet ($7.99 paperback, $3.99 ebook) Click here to purchase now. In July 2015, Adinkrahene: Fear of a Black Planet was selected as a finalist (one of three) for a Phillis Wheatley Book Award (in the First Fiction category). The Phillis Wheatley Book Awards ceremony is held annually on the campus of Columbia University as the Harlem Book Fair’s kickoff event. IN A WORLD WHERE AMERICA HAS ELECTED ITS FIRST, BLACK PRESIDENT, A NEW GENERATION OF HEROES MUST EMERGE TO UNITE A DIVIDED KINGDOM. When Mississippi Senator Kyle Shuler announces his bid to unseat presidential incumbent Herbert Newsom, America’s first, black president, Washington Post political reporter Jonathan Fraiser is miffed. He knows Senator Shuler’s dirty, little secret – that he and two of his friends murdered an elderly, black woman as teenagers. But Jonathan isn’t the only person disturbed by Shuler’s announcement. His longtime friend Selina Giles, an FBI agent, was eleven years old when Shuler slit her grandmother’s throat. Now, Jonathan and Selina must join forces as Adinkrahene agents to prevent a Jim Crow criminal from becoming the leader of the free world. Real Men Raise CHAMPIONS: Unleashing Your Inner COACH ($5.99 paperback, $3.99 ebook) Click here to purchase now. REAL MEN RAISE CHAMPIONS and EVERY CHAMPION NEEDS A COACH – These are the messages that author J. A. Faulkerson wants to communicate to today’s fathers. With 24 million children in America – one out of three – living without their biological fathers in the home (not to mention the forces that are mobilizing to rob them of a peaceful and prosperous future), the time for REAL MEN to exert their God-given power, authority and influence is now. Gone are the days when fathers allow their self-worth to be measured by hefty paychecks. Today’s challenges require fathers to form HUDDLE GROUPS, and work with their wives (and children’s mothers) to help children selflessly and righteously achieve success. The Thug Whisperer: A Short Story ($5.50 paperback, $3.00 ebook) Click here to purchase now. When 40-year-old Mason Reynolds boarded the Metro train after work for the routine ride back to Compton, he did so not expecting trouble. However, trouble finds him, in the form of Ty, a gun-toting, teenaged thug, and his posse of knuckleheads. But Mason isn’t fazed by the boys’ appearance or demeanor. He grew up in Compton. He knew you had to maintain a certain swagger to be respected, to survive on its mean streets. But he is forced to push caution to the wind when Ty pulls his gun from his hoodie and threatens to use it on one of the other passengers. How will the wheelchair-bound Mason diffuse the situation when the only weapon available to him is the forcefulness of his spoken words? CREATESPACE (PRINT) EDITION PRICE: $5.99. Click here to purchase now. A YOUNG, BI-RACIAL TEEN FROM MEMPHIS, TENNESSEE TRAVELS TO SOUTHERN CALIFORNIA TO MAKE HIS SUCCESSFUL, WHITE FATHER AWARE OF HIS EXISTENCE. After losing his black mother to cancer, a 21-year-old, biracial man travels from Memphis, Tennessee to Los Angeles, California to meet the white father he has never known. But when his consistent and frequent pleas for a meeting are denied, he must accept the fact that he is being cast as the victim of a different kind of prejudice. 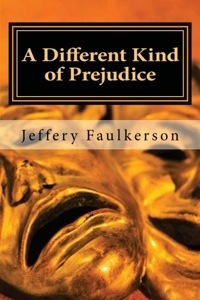 CREATESPACE (PRINT) EDITION PRICE: $6.50. Click here to purchase now. A RETIRED NAVAL OFFICER COPES WITH THE REALITIES OF BEING A STAY-AT-HOME PARENT. After retiring from the Navy to become a stay-at-home parent, 43-year-old Malcolm Reynolds struggles to be recognized as a valued member of his household. Author Monique Alvarez offers him an opportunity to be significant by tapping him as the illustrator for her new children’s chapter book. But as Malcolm’s confidence grows through the expression of his artistic talent, his wife Yolanda, the family’s primary breadwinner, expresses an unwillingness to acknowledge his contributions as a husband and father. Her disdain for Malcolm ultimately causes her to have a sexual affair with co-worker Davion Hayes. Clive Reynolds holds the key to helping Malcolm negotiate his life. But how will Malcolm respond when he learns his Uncle Clive is not the person he thought he was? 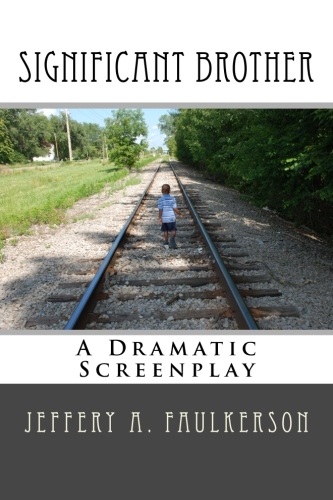 Includes Readers’ Guide with a special note from Jeffery and 10 Questions for spirited discussions about the screenplay’s noted themes. To access J. A.’s fee-based services, click on the icon below. Great meeting and talking with you today. Be Blessed and safe travels. This really warms my heart! I found out about you from Sancopha League on facebook. Are you located in Los Angeles?? No, I’m not, Constance. Recently relocated from there to North Texas. Thx for the inquiry. Be blessed, and continue to be a blessing.